Great roles for kids and teens are just an audition away. Open your Hogwarts letter and appear in “Harry Potter and the Cursed Child.” Or, the physical theater and dance company JUNK is casting full and part-time positions for an upcoming performance, an educational game is seeking young voice talent, and appear in a commercial for a storage company. 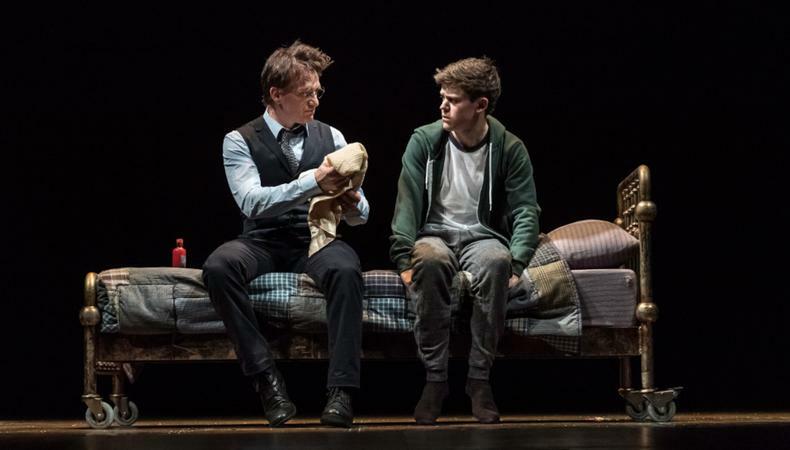 The currently-running Broadway production of “Harry Potter and the Cursed Child” is seeking young Equity actors for possible replacement roles. Two roles are available for young talent, Young Harry Potter, for male talent, aged 10–13, that is under 4’11” tall, who will be playing the wizard at age 11, and Lily Potter Jr., the 9-year-old daughter of Harry and Ginny, for female talent, aged 8–13, that is under 4’11” tall. Talent will be paid a minimum of $2,095 per week under an Equity Production (League) Contract. An Equity Principal Audition is scheduled for Feb. 6 in New York City. Apply here! The development team for an educational game is filling a voiceover role. The production is seeking male and female talent, aged 11–14, with a natural and friendly voice. Recording will take place in Los Angeles. Recording dates are yet to be determined. Talent will be paid $500 per session. Apply here! Brian Sanders’ JUNK is holding auditions for full and part-time roles in the company. The acclaimed company works in a fusion of physical theater, aerial work, acrobatics, and dance. There are several roles available for young talent in an upcoming performance with the Philadelphia Orchestra, including Romeo and Romeo’s friends, for male talent, and Juliet, for female talent. The company is seeking dancers, aged 14 and older, with aerial and contemporary and/or ballet technique. Rehearsals begin on Feb. 18 and the show runs until April 6. All rehearsals and performances will take place in Philadelphia, Pennsylvania. Talent will be paid for rehearsals and performances based on experience. Auditions are by appointment on Feb. 2 in New York City. Apply here! A short promo for a storage unit company is casting. The scene shows a young boy and his father entrusting their prized pinball machine to a storage unit. The production is seeking Caucasian male talent, aged 8–12, for the role of the son. Shooting is scheduled for Feb. 12 and 13 in San Diego, California. Talent will be paid $400 total for 2–3 hours of shooting over two days. Apply here! A concert musical production about overcoming obstacles and fulfilling your dreams has roles available. The show is casting three leading roles, Jo, for African American, African, Latino/Hispanic, or mixed race male talent, aged 13 and older, Khadijah, for African American female talent, aged 15 and older, and Melody, for African American or mixed race female talent aged 15 and older. All leading roles require strong personalities and performances, including strong voices, with Khadijah performing in a gospel style. Additional supporting roles are available for male and female talent, aged 15 and older, plus one role, Yaya, for African American female talent, aged 10–15. Rehearsals take place on the weekends in Atlanta, Georgia, where the show also runs. Dates have not been set. All roles are paid. Apply here!